Plenty of people struggle at communicating their feelings. To be more specific, people tend to find it more difficult to express certain types of feelings over others. For example, some are naturally affectionate while others might feel awkward conveying this type of emotion. On the other hand, somebody who’s loving can have trouble when it comes down to confronting those they are close to, which often leads to bottling up feelings. It’s essential for those who hold their feelings in to attain the characteristic of speaking their mind, otherwise, they’ll wind up feeling more overwhelmed for not speaking up in the first place. Here are some things to think about that can help you find the strength to express yourself. 1. Don’t let the fear of offending others stop you from speaking the truth. There is saying, “You’ll never know the truth unless you try.” This saying can easily apply here because you’re assuming how the other person is going to react and you are allowing that to stop you from conveying your feelings altogether. It’s crucial to not assume that the response of your confrontation is going to be a negative one. A lot of times, you’ll find yourself surprised as to how the other person responds. 2. Holding back feelings isn’t fair to the other person because they may not know they hurt you. Although it should be common sense, often times, people don’t realize when they’ve done something to offend you. If you’re upset with someone but don’t let them know, what’s to stop them from continuing to do it? By bottling up your feelings, you’re not giving the other person a fair chance to respond and ultimately, not giving them a chance to try to make things right. 3. Remind yourself your friends will understand. You shouldn’t be afraid to express feelings of disappointment or even irritation to a close friend. If you can’t be honest with your own friends, who can you be honest with? If you’re ever feeling hesitant to confront a friend, just tell yourself that if they are a sincere friend, they will recognize how you feel even if they might not agree. Once you let them know what’s on your mind, they’ll more than likely apologize and they will try not to make the same mistake again. 4. Asserting yourself doesn’t necessarily mean you have to give attitude. Everyone has a different temperament when they address others about a problem. While some people might get aggressive, others are completely calm. 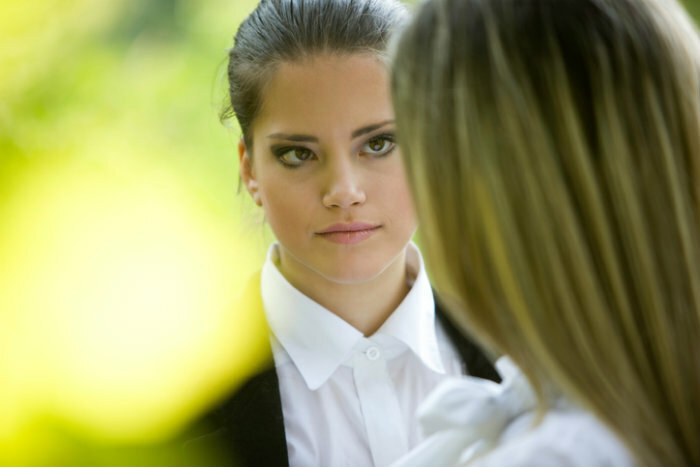 If you’re worried about coming off too unfriendly, just be sure to watch your tone of voice and the language you use. Additionally, be sure you’re not beating around the bush too much because you want to get your points across clearly. Sometimes it is okay if you hold back your feelings because not every battle is worth fighting. If someone says something to upset you, you might consider that they’re having an off day. But if this person is consistently troubling you, that’s when you should bring the issue to their attention. Always speak up during the moments you feel that it’s most necessary. Otherwise, you’ll grow more resentment toward the other person. I do tend to rein it in in both directions. I have found with many people in my life (mostly family which you can’t choose!) aren’t willing to listen to others’ feelings or admit they may be wrong. But I agree that it is hard to keep too much in for too long.